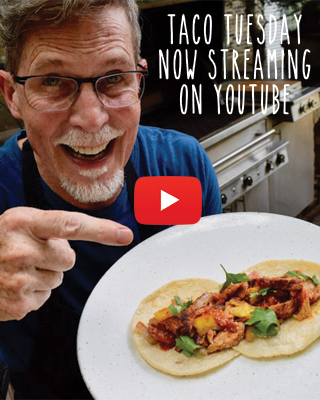 FINDING: Some Mexican groceries in the United States, nearly all markets in Mexico. Gurmetsleuth.com and Sur La Table.com. They sell a traditional stone molcajete that are carved out of stone. CHOOSING: Dense-feeling molcajetes that are made of the darkest basalt, that feel extremely heavy for their size, and that have a deep, quart-size bowl (the inside of which is not too rough) are the most cherished ones in Mexico. 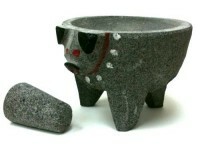 CURING: A new basalt molcajete needs to be cured by grinding dampened raw rice to a powder in the bowl several times, until the powdered rice no longer looks dirty.